SPRINGS are the most delicate of all the seasons, yet they need colors that are alive. 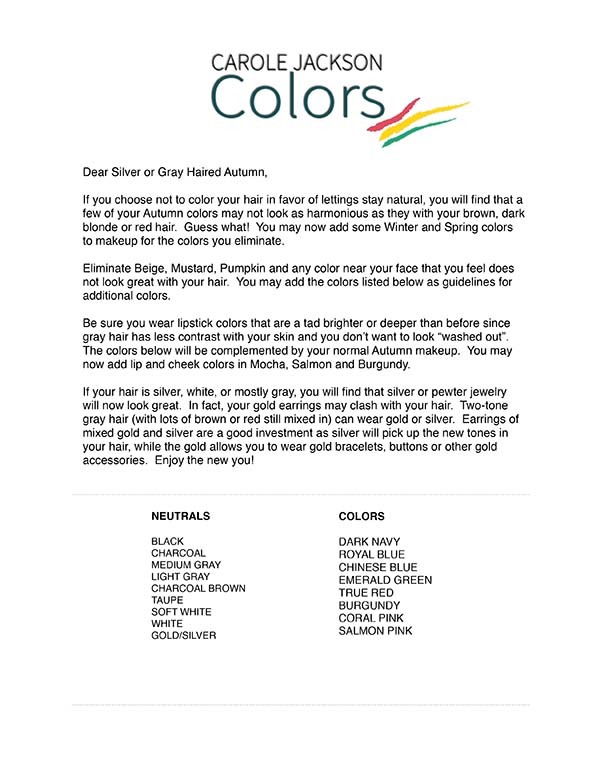 When you shop, think clear, warm (yellow undertone) and crisp. 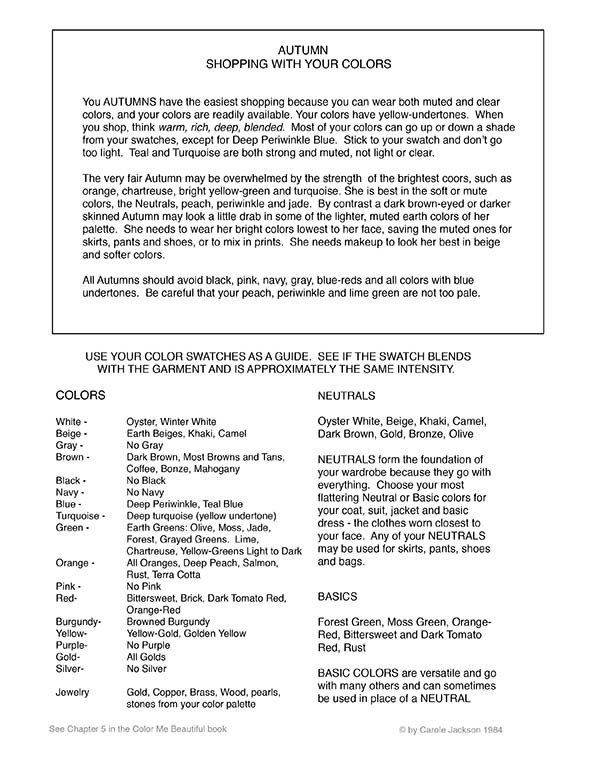 You are best in light true colors and clear warm colors from pastel to medium intensity. Your colors are the hardest to find because they must be clear, never muted, and not too dark. 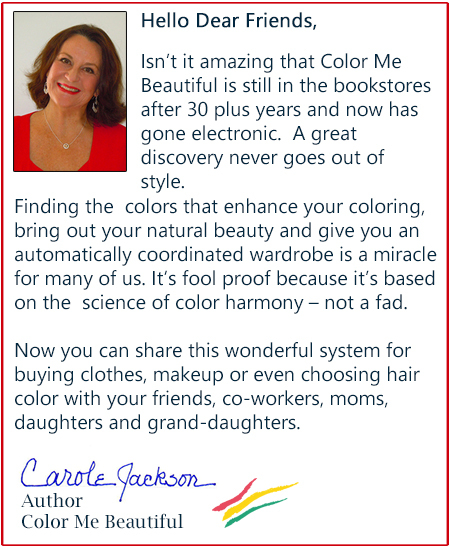 Because of your delicate beauty, you remain ageless – a compensation for having to search a little harder for your colors. The very fair, delicate Spring is overpowered by too much of her brightest colors, such as bright golden yellow, bright yellow-green, and sometimes even clear red and violet. For her, these are accent colors – a sash around a sun hat. By contrast, the Spring with stronger coloring (usually a brunette or red-head) looks great in a whole dress of bright yellow-green or yellow, but looks pale in her lightest colors or even camel. These are best when mixed or used as accessories. 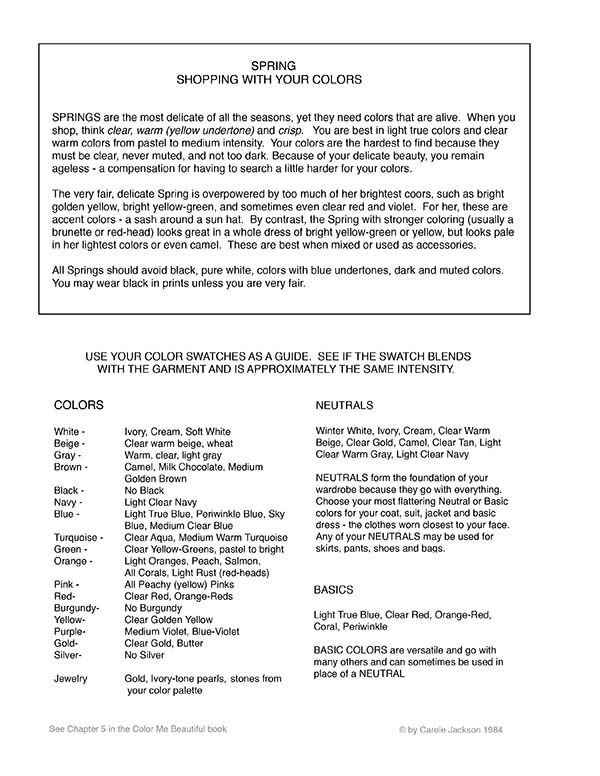 All Springs should avoid black, pure white, colors with blue undertones, dark and muted colors. You may wear black in prints unless you are very fair. 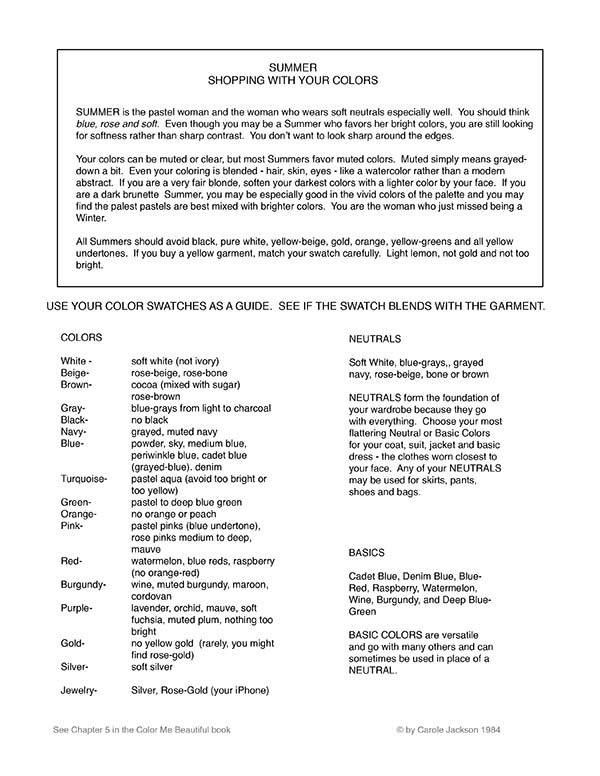 USE YOUR COLOR SWATCHES AS A GUIDE. 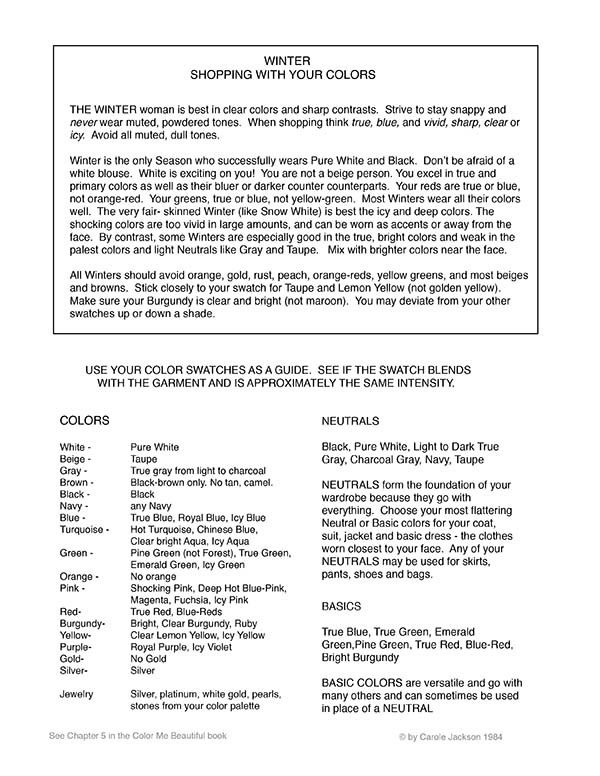 SEE IF THE SWATCH BLENDS WITH THE GARMENT AND IS APPROXIMATELY THE SAME INTENSITY.